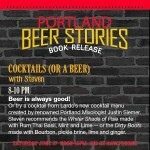 Portland Beer Stories Book Release Party at Lardo on 12th and Hawthorne! 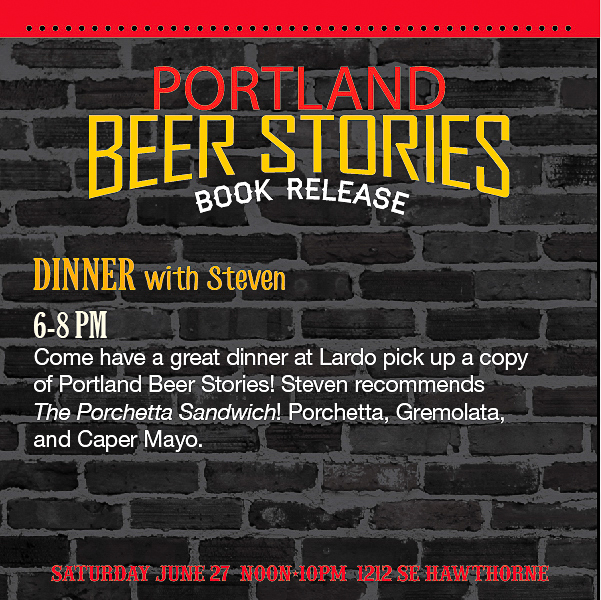 This Saturday June 27th from Noon – 10 PM Lardo is hosting a Book Release Party for Portland Beer Stories! 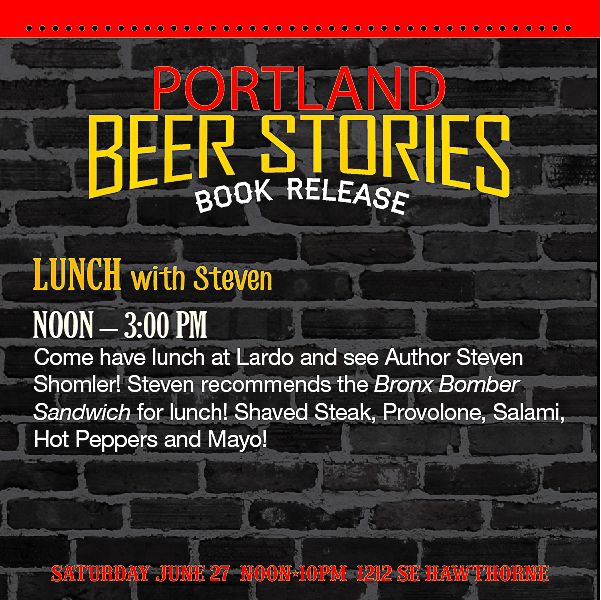 Author Steven Shomler will be at Lardo located at 12th and Hawthorne from Noon to 10 PM with copies of both of his books – Portland Beer Stories and Portland Food Cart Stories for sale! 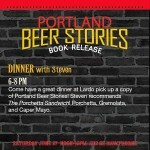 Lardo is going to be putting Beers and Ciders from the book on tap during this Book release party! Four Mini events – Lunch, Happy Hour, Dinner, and Cocktails! You are welcome to come by at Noon for Lunch, at 3 PM for Happy Hour, at 6 PM for Dinner or at 8 PM for Cocktails (or a Beer). Each of these four mini events will have special guests and people featured in Portland Beer Stories stopping by. 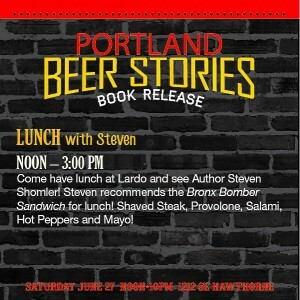 Come have lunch at Lardo and see Author Steven Shomler! Steven recommends the Bronx Bomber Sandwich for lunch! Shaved Steak, Provolone, Salami, Hot Peppers and Mayo! 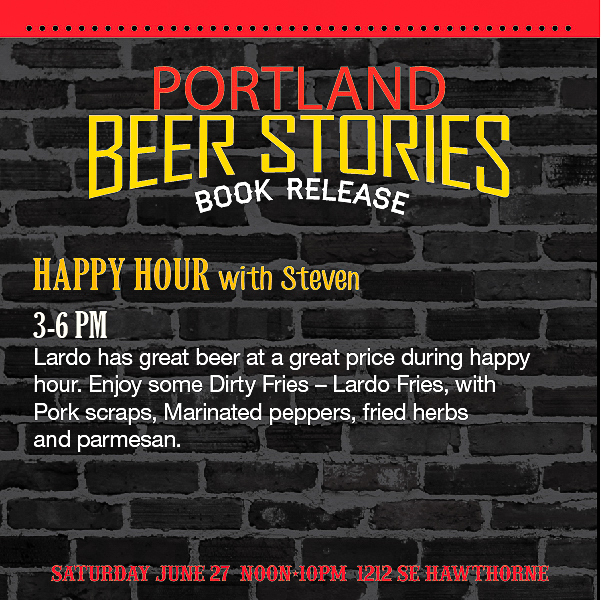 Come get a great beer at a great piece during happy hour ands make sure to get some Dirty Fries – Lardo Fries, with Pork scraps, Marinated peppers, and fried herbs and parmesan. Dinner with Steven! 6-8 PM! Cocktails (or a Beer) with Steven! 8-10 PM! Beer is always good! 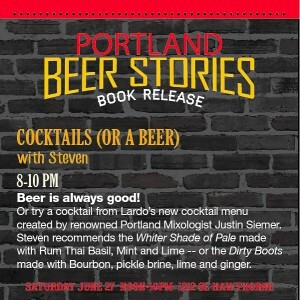 However Lardo recently added a new cocktail menu with cocktails created by renowned Portland Mixologist Justin Siemer. Come have a coktila (or a beer) with Steven. Steven recommends the Whiter Shade of Pale made with Rum Thai Basil, Mint and Lime — or the Dirty Boots made with Bourbon, pickle brine, lime and ginger. 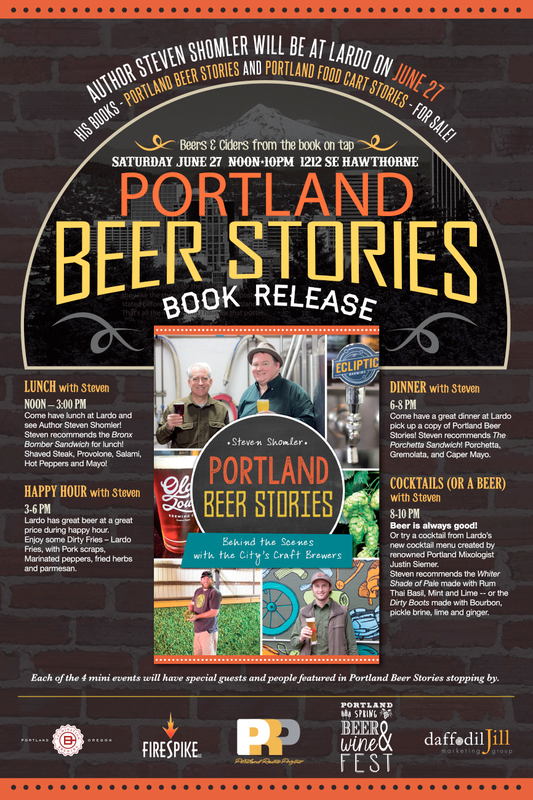 Many Thanks the Portland Beer Stories Release Party Sponsors ! 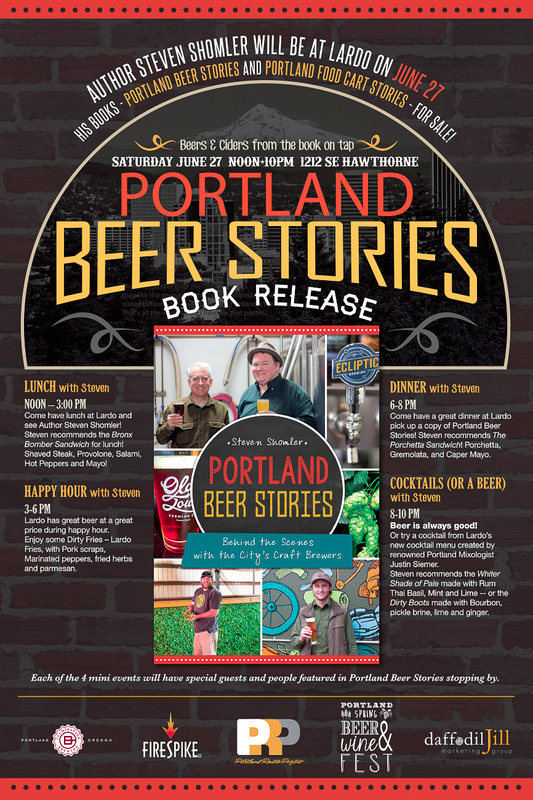 The Portland Beer Stories Releae Party is sponsored by Culmination Brewing, Portland Spring Beer and Wine Fest, Daffodil Jill Marketing Group, Firespike LLC and Portland Radio Project. 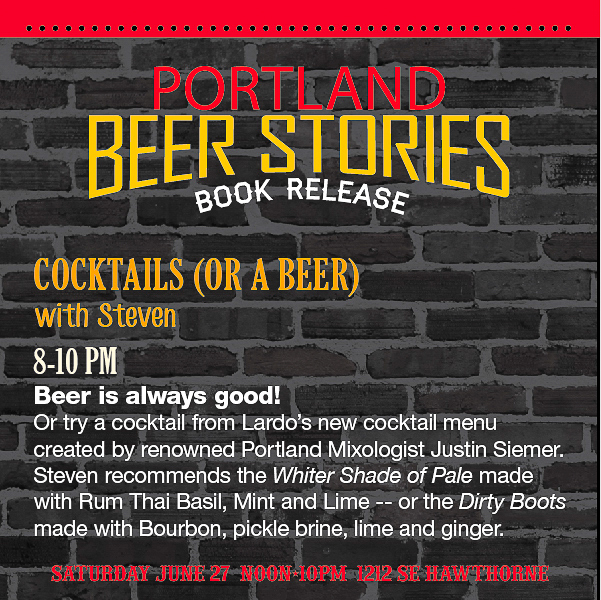 This entry was posted in Book Release Party and tagged Author Steven Shomler, Beer, Book Release Party, Justin Siemer, Lardo, Lardo Bronx Bomber Sandwich, Lardo Cocktails, Lardo Dirty Fries, Lardo Porchetta Sandwich, Lardo Portland, Portland Beer, Portland Beer Stories, Portland Beer Stories Book Release Party, Steven Shomler. Bookmark the permalink. 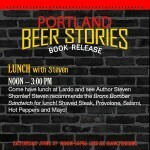 Portland Beer Stories at Belmont Station with Lisa Morrison, Portland’s Own Beer Goddess!